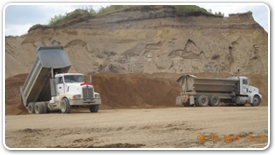 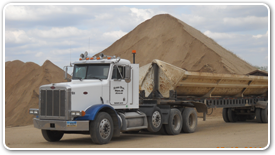 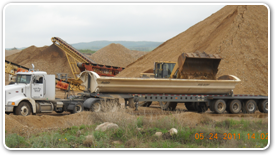 Krause Brothers Construction specializes in hauling aggregate products. 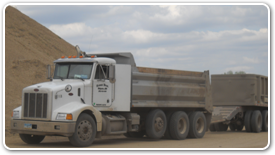 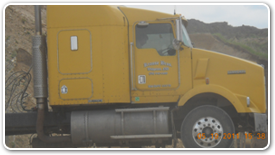 Now with our operating fleet of End-Dumps, Belly-Dumps, and Side-Dumps as well as Tandem End-Dumps and Tandem Side-Dumps, KBC is a well respected hauling and trucking company. 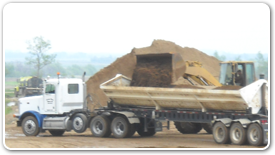 KBC can assist your needs with Clay, Dirt, Rock, Sand, Gravel, Concrete disposal and Snow.